14.09.2011: 0121 UTC: Around 62nm SW of Cotonou, Benin. 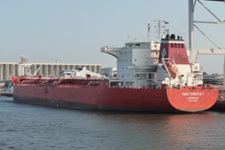 Armed pirates boarded and hijacked a product tanker during STS operations and took her 23 crew members hostage. The pirates sailed the vessel to a unknown location. Further report awaited. The head of Benin's navy said the ship was the Cyprus-flagged Mattheos 1, and that it was too far off the coast for patrol boats to reach quickly. "We can't intervene at the moment because of the distance," Navy Chief Maxime Ahoyo told Reuters by telephone. "It would take us at least seven hours to reach the site." Ahoyo said pirates had also attacked the Nowegian-flagged Northern Bell, which was doing the cargo transfer with the Mattheos 1, but that the crew had locked themselves in the engine room and the pirates eventually left. 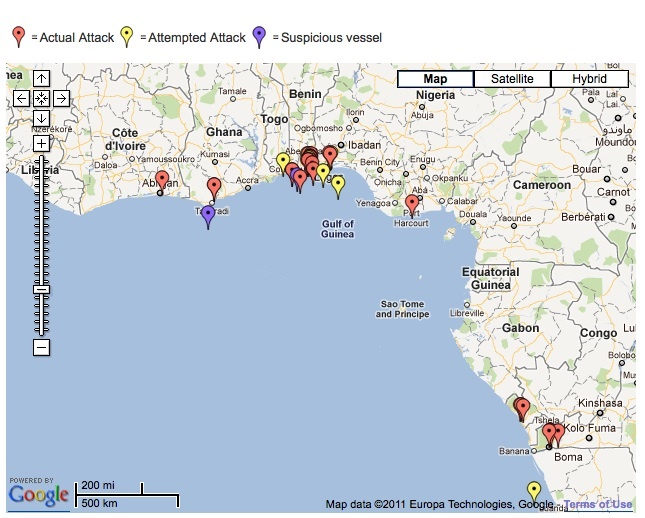 The IMB has recorded 19 pirate attacks off of Benin so far this year, from none in 2010 -- a sign that pirates may be moving West of their traditional Nigerian stomping grounds. The very small Benin Navy, consisting primarily of rigid-hull inflatable boats . . . has barely 75 miles of coastline to patrol. The navy, however, benefitted directly from the Africa Partnership Station, when after training in late 2009, they conducted a counterpiracy operation in which they took back a ship that had been captured by pirates. Apparently Benin has a few "Defender" boats like the one pictured. RBS Defender class boats are a product of SAFE Boats International. 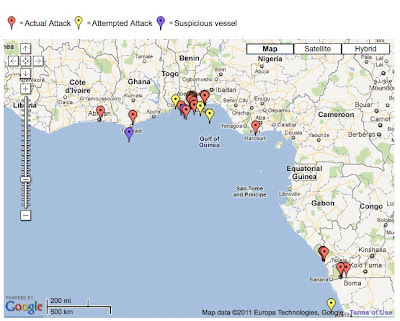 UPDATE2: A report of an earlier success of the Benin Navy defeating an pirate hijacking here. Ship photo by Emiliyan from Shipspotting.com and used in accord with the terms of that site.